You can use this template to increase your business skills and profits. This template has various kinds of options which can be customized according to your needs. Including some attractive wedding decoration pictures to the page, can help people getting in contact with you easily. The particular myWedding template has three pages which can be designed as preferred by you. 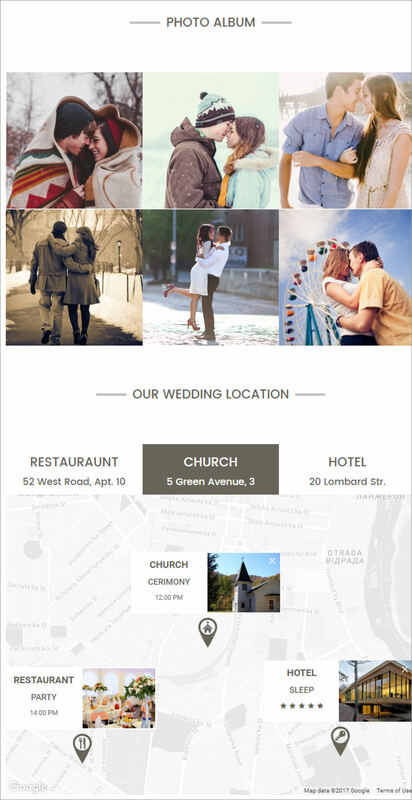 Easy animation features with specific sliders and galleries are also available on this wedding template page which gives a very grand look to your wedding.